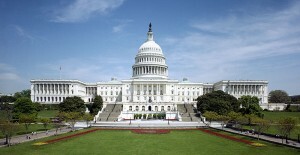 You are at:Home»Featured»What Are We Sacrificing for Another Government Fix? Thank you very much for shedding light on yet another example of the problematic relationships being formed by the bureaucrats within the ranks of the USCCB. You have provided an excellent analysis which rightly points out that while the goals of this committe to help people get jobs are laudable, the methods for doing so are not. The staff members who made the decision to support this organization have forgotten what it specifically means to be Catholic. While we can disagree with the methods for helping out those in need, we cannot support programs that have as their agenda the broadening of the reach and scope of a federal government that is increasingly hostile to Catholic values. One has to wonder, in light of the other revelations about associations made through the Catholic Campaign for Human Development, whether it is time for the US bishops to reassess the mission and processes of the staff work completed at the USCCB. So write them a letter. Better to correct the Bishops than gossip about them.